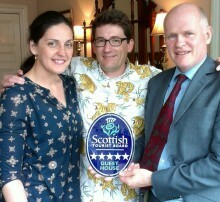 One of Perthshire’s finest listed heritage properties is seeing stars after receiving VisitScotland’s highest Quality Assurance award. Heritage tourism business, The Old Manse of Blair, has received a five-star grading from the national tourism organisation. Built in 1828, the venue combines traditional elegance with modern luxury and can be hired for exclusive use, offering guests a deluxe stay in Highland Perthshire. Its central location between historic Blair Castle and House of Bruar also makes it a perfect place to try some of the region’s most popular outdoor activities including, walking, cycling, canyoning, kayaking, field sports or even teeing off at Gleneagles. 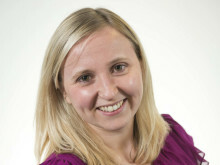 VisitScotland’s five-star Quality Assurance award recognises serviced accommodation businesses which achieve exceptional levels of excellence. Businesses that achieve the award excel in areas of hospitality and friendliness, service and efficiency. During each visit, the entire visitor experience is assessed by a VisitScotland Quality & Tourism Advisor, of which The Old Manse of Blair scored as exceptional. 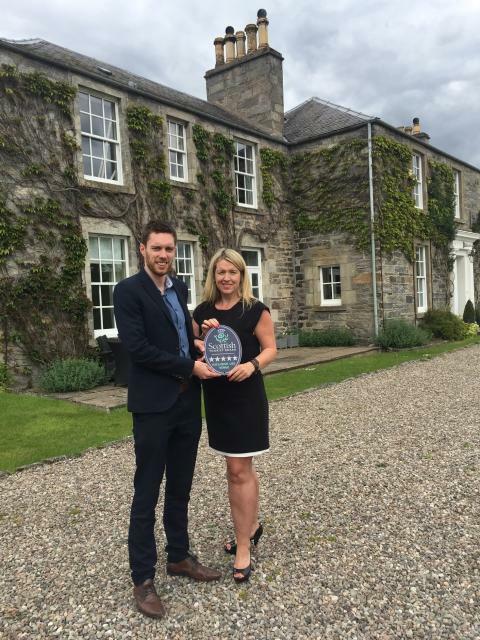 Neil Christison, VisitScotland’s Regional Partnerships Executive said: “It was a pleasure to present Anne with a well-deserved five star plaque for The Old Manse of Blair. This is a real badge of honour and shows visitors that when they stay at The Old Manse they can expect a top quality experience. This luxurious property is a fantastic addition to Perthshire’s renowned tourism offering. Developed over the last four decades in partnership with the tourism industry and informed by visitor research, VisitScotland’s Quality Assurance schemes are world-leading. Quality Assurance stars alongside online reviews give visitors a balance of objective and subjective views to assist in their decision making and expectations.